On The Gore Spotlight, we only interview the awesome… and boy do we have an awesome author that I talked to recently. A Giacomi, Canada’s horror sweetheart, took some time to answer my questions and discuss her recently released debut novel, Eve Brenner: Zombie Girl. 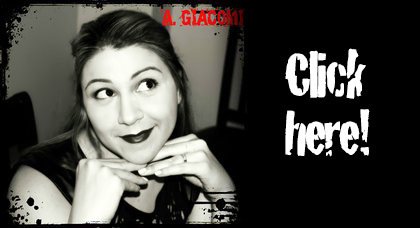 Read on to find out more about Ms. Giacomi, Eve, and everything else that makes her tick! HMS: Firstly, I want to thank you for taking the time to answer my questions, it’s always exciting to have new talent showcased on the site. Especially a fellow female horror author! Can you tell the readers about your recent release and introduce them to Eve Brenner? AG: Thank you for having me! I can hardly contain my excitement when it comes to introducing people to Eve Brenner. 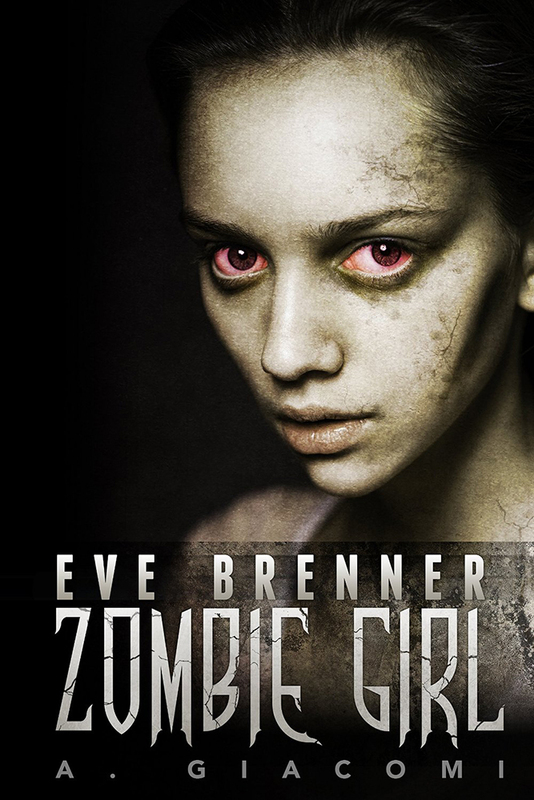 The first book, Eve Brenner: Zombie Girl was released on January 27 with the sequel coming out on February 17, I’m one proud book momma. This four part saga shows Eve’s transformation over time. Eve is a 19 year old Canadian girl from a small town called Little Lake and she wants nothing more than to escape that life and travel abroad. Her major in Archaeology leads her to Egypt where she is attacked and infected with The Azrael Virus. HMS: How did you first come up with Eve and what were some of the original ideas behind her story, and how did they change, if at all, during the writing process? AG: Funny enough, Eve started as a doodle back in high school. It all spawned from my love of comic books and I never really felt there were enough female characters out there, so I made my own. She had a few sidekicks and some awesome powers, but she was dead. After a few months of sketching her I started to have dreams about her world, her origins, and it sort of unfolded like a film. I had this wonderful story in my head, but it didn’t make it to page until a couple of years ago when I finally sat down and wrote the first two books. Eve’s not quite the superhero I began with, but she’s definitely more powerful in a lot ways, people will relate to her, this is a zombie you will feel for and fear at the same time. HMS: What is your favorite sub-genre of horror, and why? AG: It’s obvious, it’s always been zombies! They’ve been a curiosity of mine since seeing Night of the Living Dead for the first time. There is something poetic about them, these former “people” pull at my heartstrings a bit. I guess you could call me a zombie sympathizer and when reading my Zombie Girl Saga, you will definitely see that. HMS: When did you know you wanted to be a horror writer, and what’s your favorite aspect of it? AG: I have loved the horror genre for as long as I can remember. I was the kid that always loved a good scary story. You could blame R.L Stine to an extent, or Edgar Allan Poe, or the Evil Dead films. These were my first introductions to the genre and I’ve never really looked back since. I really love the thrill factor of the genre, it gets my adrenaline going, and it explores the movie monsters I grew up with. These fictional creatures continue to pique my curiosity and drive me to create others. HMS: Aside from zombies, what other areas of horror would you like to tackle in future projects? Do you already have anything in mind? AG: I have a few ideas that have been tucked away for a later date. Definitely some supernatural thrillers! I have also always wanted to write about Vampires but so many authors have done such a brilliant job in that sub-genre that I’m a little afraid to tackle it, I won’t say never, but it would have to be a really strong story to stand alongside the greats. HMS: What is your favorite piece of horror fiction, and why? AG: There are so so many! If I had to choose only one I guess I would go back to the classics. Bram Stoker’s Dracula is one I read over and over again. I’m drawn to classic horror monsters, there is this sort of magic surrounding them that I can’t explain. HMS: What are some of the things you draw inspiration from when writing? AG: I’m a bit of a nerd and I think it definitely comes out in my writing, I mean how could it not? Writers inadvertently weave parts of themselves into the text. I think for this particular book you’ll see elements of the fangirl in me. There’s comic book references, a little Lara Croft/Indiana Jones action, some classic horror movie references, and my absolute favourite: mythology. "I have loved the horror genre for as long as I can remember." HMS: Can you tell your readers what’s in store for Eve’s future? Any possible spoilers you can dish out? AG: Well it’s no secret that Eve’s slowly turning into a full-fledged zombie, but she will fight it as much as she can. The next book will travel to some very interesting locations, where I get to toy with history a bit. I won’t say how it all ends, but I will say it will leave your mouth hanging open like an M. Night Shyamalan ending. For those who have already read book one, they know how much I love a good cliffhanger and if you want to know what becomes of Eve and everyone in her world, then you best get to that next book for some answers! HMS: What are you most excited about writing in the future? AG: Everything and Anything! I love writing, I do it daily. A lot of it is poetry and I hope to publish those poems someday. I’m also really excited to begin writing book 4 in The Zombie Girl Saga, it will be bittersweet, an end to the series, but an extraordinary ride. HMS: And finally, my favorite question to ask… The zombies have come! Oh no! Look to your left, what is the object that is going to save you from being zombie lunch? HMS: Thank you so much for doing the interview, Ms. Giacomi! I wish you the best of luck with your books!